On the morning of Jan. 14, 20-year-old women decked out in brightly colored kimono scrambled to catch trains to take them to ceremonies across the country to mark Coming of Age Day. The day’s related ceremonies, targeted at young men and women who have or are turning 20, celebrate the transition to adulthood with speeches by local officials reminding attendees to appreciate their parents and instructing them on their new societal responsibilities. Most young people, however, really just focus on taking pictures with their friends. Meanwhile, at a small rental space in Tokyo’s Suginami Ward, I joined a group of 40 women (and a couple of men) who are currently knee-deep in those societal responsibilities. They had gathered to discuss actions they could take concerning a recently published article by the tabloid magazine Weekly Spa! that ranked universities in order of how “sexually easy” their female students are. The group varied in age and nationality as the Spa article was widely shared overseas thanks to social media and the unfolding of a separate scandal involving idol-pop act NGT48. Not surprisingly, the non-Japanese community here has been outspoken on both. In the past, however, its critiques were often countered with the idea that the non-Japanese community simply doesn’t “get” Japan. The pressure not to speak up that many women in this country feel — whether they are Japanese or not — is why International Christian University student Kazuna Yamamoto organized the meeting. 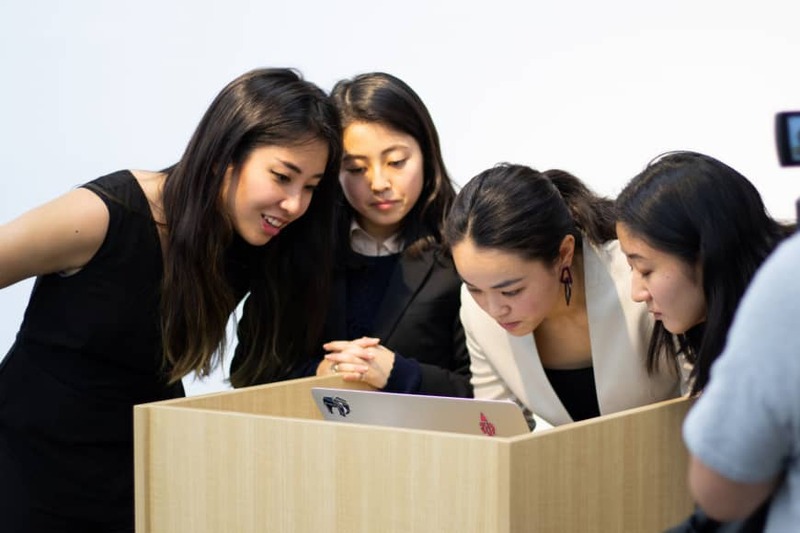 With the help of four other Japanese women, including two fellow ICU students, Yamamoto has launched Voice Up Japan, an organization that aims to empower women and eliminate gender inequality. Using the English hashtag #StandUpJapan, the group has been able to raise awareness not just about the harm the article caused, but about the current status of women in Japan in general. As Yamamoto notes, the Spa article is hardly the first — or the worst — article by Japanese media when it comes to women being portrayed in a degrading manner. What is particularly objectionable in this instance is that the piece’s claim that female students from certain schools are “easy” could lead to unwelcome visitors at the campuses mentioned, sexual harassment and sexual assault. It has been suggested that increased security could help pop stars such as Yamaguchi feel safer, but a conversation also needs to take place on what emboldened the men to allegedly stalk and assault her in the first place. AKB48, also managed by AKS, changed the game when it came to being able to interact with your favorite pop star. Its whole concept was being the “idols you could meet,” at handshake events or at the group’s theater in Tokyo’s Akihabara district. Other idol groups have copied the model on a smaller budget, and that has sometimes come with physical threats. The accessible, girl-next-door image that Japanese idol-pop groups have cultivated over the years, along with how they are portrayed on TV shows and magazines — always smiling, always pretty, always deferring to someone else — may be contributing to an environment that allows for unsafe situations. When people are conditioned to an environment in which predatory comments and behavior are excused, or an environment that places the blame on the victim and not the perpetrator, it’s easy for them to repress the idea they have a right to question the status quo. However, people also don’t speak out because they are fearful of retribution. Even some of the attendees at the Suginami Ward meeting refused to be filmed or photographed as they worried it would threaten their position at work or school. In this environment, it’s no surprise that social media platforms such as Twitter, which allow for anonymity, have quickly become a popular place for many to voice their opinions on issues they don’t feel comfortable bringing up in real life. A gravure model at the meeting said that without social media she wouldn’t have been able to recognize the problems in her industry. Sharing stories of how they used to believe or accept misogynistic ideas, Twitter users quickly spread the hashtags and their stories across the feminist community here. By using a Japanese hashtag, and not just repurposing an English one, #WatashiGaEvidence saw more success in terms of earning views. However, the broad reach also lead to trolling and hateful responses. Instead of relying solely on support from within Japan, Yamamoto tells The Japan Times that including and enlisting the international community can make waves and help push change forward. Without access to the kinds of success stories that have happened overseas — such as #MeToo, #TimesUp and #BlackLivesMatter — some Japanese people may feel that speaking out won’t make a difference. That’s where the international community can help. And Yamamoto has been heard. Not only did Voice Up Japan land a face-to-face meeting with Spa’s editorial team, they say they had a constructive discussion. Yamamoto says her group’s initiative doesn’t stop at the tabloids, though. They want to bring the issue up with people in the government as well. Heading from the Suginami Ward meeting, I passed dozens of young women laughing with their friends after the coming-of-age ceremonies had finished. Not all of them are attending the colleges mentioned in the Spa article, but unwanted sexual attention is something many of them have likely dealt with. 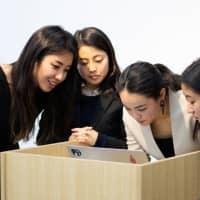 According to a survey conducted in 2017 by the Gender Equality Bureau Cabinet Office, around 1 in 13 Japanese women reported having experienced sexual assault, and around 1 in 9 reported having experienced stalking and persistent sexual attention. Japan needs to stand up and put an end to this kind of behavior, and the international community needs to stand up with them.